The PPAI Expo 2017 was held at the Mandalay Bay Convention Center in Las Vegas, Nevada for the 15th year. From January 6-9, Exhibitors were moving in and getting all of their preparations completed for the week ahead. On January 8th and 9th, PPAI held back-to-back education sessions for any Expo attendees. The show floor was opened up at 10:00 a.m. on Tuesday, January 10th, and the show ran through Thursday, January 12th. 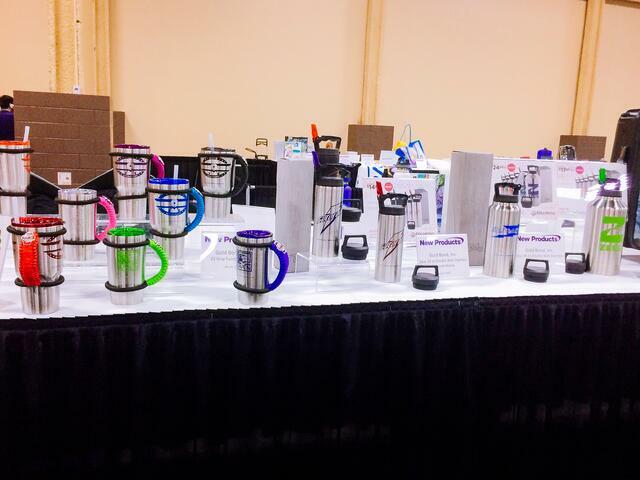 The Expo is the largest trade show within the promotional products industry in the nation. We saw everything from hats and pens to surfboards and guitars. 2017 was my first time attending the show; to say I was overwhelmed would be quite the understatement. Our talented salesmen and other representatives from Outdoor Cap had the chance to meet face to face with customers, and sales reps. For many of us, this is the only time a year we get to mingle and actually shake one another’s hand. We were also fortunate to see a lot of new faces and visit with potential clients. We’re very grateful for the opportunities shows like this provide us with, like personally handing out our 2017 catalogs. And showing off our new shapes and styles. 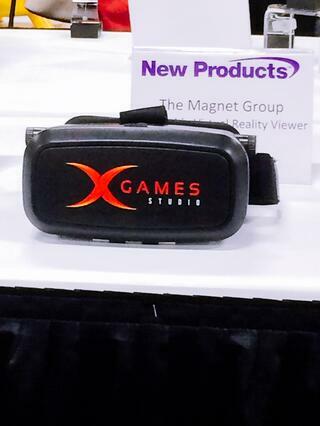 The most exciting thing we did at the PPAI Expo was unveiling our Business Development Kits. We acquired our first registrations with our in-booth iPad kiosk. In 2015, the Mandalay Bay underwent a major expansion. Because of this, 2017 is the 2nd year the Expo was able to accommodate all booths on a single-floor layout. Having the entire show in one room ensures everyone has the opportunity to see all of the booths without confusion. This year was the highest recorded attendance since 2008; there were 1,251 exhibitors and 3,144 booths, including 157 first-time exhibitors. There were close to 20,000 participants from over 30 countries. There were 4 Product Pavilions attendees could sneak peek on Tuesday morning prior to the show’s opening, or visit anytime throughout the show. Exhibitors submitted products to be showcased in one or more pavilions. Outdoor Cap showed off one of our new styles: HTR-100. DECORATE is a section of the show floor dedicated to equipment: screen printing, embroidery, digital technology, etc. This area is especially helpful for decorators interested in expanding their techniques or services. 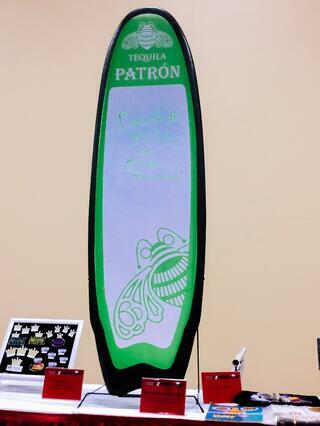 Every year, PPAI also hosts several networking events so attendees can wind down at the end of a long show day. Below you’ll find the list of events from 2017. 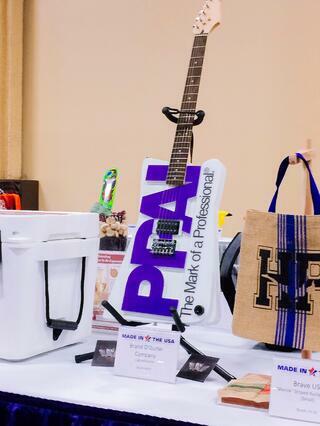 Every year, the PPAI Expo maintains its position as the most influential promotional products trade show. If you haven’t had the chance to go in years past, I would strongly suggest making an effort for 2018. It opened my eyes tremendously to how vast and diverse this industry really is. Since 2008, Expo exhibitors have donated more than $320,000 worth of samples and products to the Kids in Need Foundation, which supplies educators with classroom supplies in low-income districts. Don’t forget to visit us in Atlantic City, NJ for the Expo East. Education Day starts on June 12th, and the show runs through the 13th and 14th. Stop by and see us at booth #236. To keep up with us at all the shows, follow us on Facebook, LinkedIn, and Twitter.